Select baseball offers a higher level of competition than house league, playing in the TBA West Select Loop against other associations. Games are played at Christie Pits and throughout west Toronto. Rep, or competitive, baseball program is the highest level of competition offered, playing against other rep teams and clubs in the GTA and beyond. Games are played throughout Toronto. 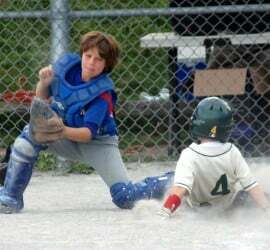 Welcome to the website for Toronto Playgrounds (TP) Baseball Association. TP is a community-based baseball program that offers co-ed programs to children from age 4 through 18 at the house league, select, and rep levels. Based in and around Christie Pits and Bickford Park in Toronto, TP provides opportunities to children to learn and develop as players in a safe and welcoming environment. For more information, please select a program you are interested in.